I have a few Slideshare presentations under my belt now. Slideshare is a great way to create a 'video' without the 'video necessary' tech stuff. The way I create a Slideshare presentation is to first create a PowerPoint presentation. Once that's complete, I simply upload it to Slideshare. It's so easy and quick. My newest presentation is on creating and publishing a WordPress blog post. Since blogging is an essential part of your content marketing and inbound marketing strategy, it's something everyone selling online should be taking advantage of. This presentation shows each step you need take to create a 'blogging right' post. It includes the title, URL, content, categories, tags, image, and so on. It even includes deep linking and anchor text. Need help with your content and inbound marketing? 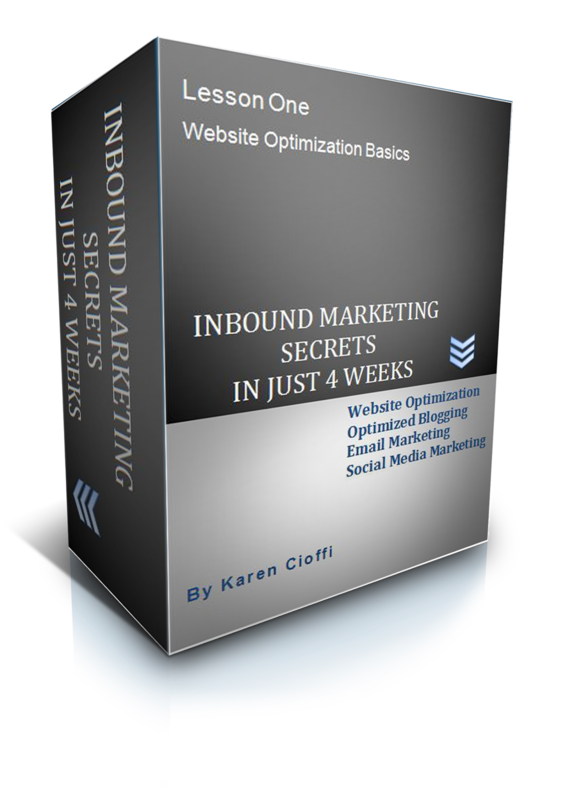 Get Website Traffic with INBOUND MARKETING in Just 4 Weeks is a must. It includes website optimization, blogging smart, email marketing and social media marketing. Plus a Bonus Lesson! It's a 4-week, in-depth and interactive class - CLICK HERE to see all it includes.